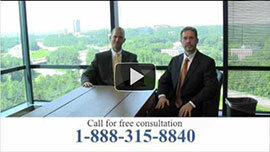 ← DUI Accident Attorney Valdosta: Have You Been the Victim of a Drunk Driver? No doubt about it, drunk driving is extremely dangerous—it not only puts your life in danger, but puts innocent bystanders and other drivers in danger, too. The reckless behavior of people driving under the influence of alcohol or drugs is unnecessary and results in horrible consequences. Unfortunately, tens of thousands of people every year are either injured or die as a result of drunk drivers. Furthermore, entire families are destroyed because of senseless acts like getting behind the wheel while intoxicated. If you or someone you know has been a DUI victim, our professional and highly skilled attorneys are here to help you. We will relentlessly fight for your legal rights to obtain the compensation that you and your family deserve. DUI injury accidents can result in dramatic results, from personal injuries, psychological trauma, and even death. No matter which harmful consequences you suffer, we will provide you with the utmost professional and sophisticated legal assistance possible. For spouses of those injured in a DUI accident, a loss of consortium is an option that you can claim. If you are unsure that you qualify for this claim, our lawyers will evaluate your case, and present all legal options available to you. We will fight to gain the best compensation you deserve, just like we’ve successfully fought for our clients in past DUI cases. Our impressive track record proves our success with suing drunk drivers and obtaining the maximum amount of compensation for personal injuries and other punitive damages. Being a victim or a family member of a DUI accident is definitely not an easy circumstance to overcome. Our Atlanta personal injury attorneys strive to provide you and your family with expert advice to conquer the hardships caused by DUI accidents. We serve on a contingency fee basis—you do not pay us until we reach a settlement, and obtain your well-deserved compensation. You can actually contact us any time of day by calling 404-315-8840, and we will happily discuss your case details to determine whether or not you have a legal DUI victim case. Call today to speak with us immediately! This entry was posted in Blog, DUI accidents and tagged DUI victim attorney Atlanta. Bookmark the permalink.